Gurmehar Kaur, who is a student of Delhi university trolling on social media in few days back. 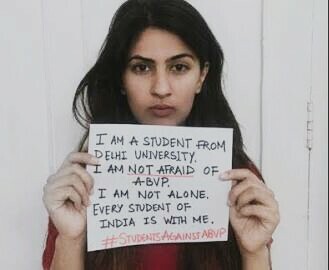 As she is a very brave girl who has posted a post on social media against of ABVP. 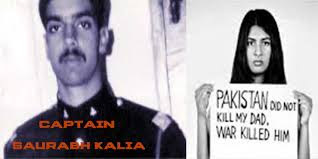 She is a daughter of a Indian army Martyr. After her post on social networking sites she has got threat calls. Few people from our society are supporting her and few of them criticising too. Few very know person and celebraties like Wrestler Yogeshwar Dutt, sports person like virendra Sehwag and Bollywood actor Randeep Hudda also supported Gurmehar Kaur. This time Bollywood actresses Vidhya Balan is speaking up for her support. In an event when someone asked to Vidhya Balan to give her views about Gurmehar Kaur’s case, she simply said – “What we need to really respect is everyone’s individuality, don’t want to comment more but I think everyone should have the freedom to express”. Well, what you think about it don’t forget to share with us.You can leave your thoughts and views in comment box.Your views would commendable and we will also share those on social media too.